The Black Media Story Summit is a bi-annual event that brings together a dynamic group of creatives, funders, investors, distributors and media technologists—for a full day of collaboration focused on cutting-edge media strategies to engage the American public. Black thought leaders representing a range of social issues; like health, immigration, environment and mass incarceration, will join the discussion to offering perspective into the importance of black storytellers amplifying community concerns. Black Public Media (BPM) is committed to a fully realized expression of the African Diaspora. We support diverse voices by developing, producing and distributing innovative media about the black experience and by investing in visionary content makers. The conversations and partnerships formed at the summit will offer direction for future action to promote black storytelling. Select presentations will be live- streamed to allow input from the public. A black paper will be created and circulated among media executives and creatives as a blueprint for BPM’s content priorities for the next three years. By making new connections and creating a path for ongoing conversations, the Black Media Story Summit will stand as a unique opportunity for advancing untold black stories. 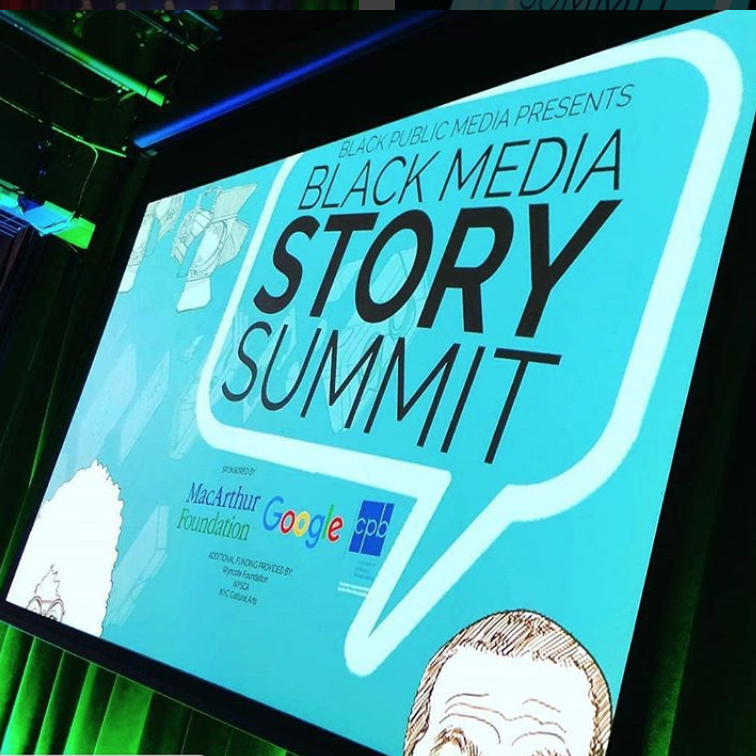 Black Media Story Summit is made possible by: The MacArthur Foundation, Google and the Corporation for Public Broadcasting. For more information please contact Denise Greene, denise@blackpublicmedia.org. 2018 marks the 10th Anniversary of Black Public Media’s signature series AfroPoP: The Ultimate Cultural Exchange, and we’re celebrating by visiting five US cities and bringing the best of the AfroPoP titles to your local museum or media arts center. We’re still choosing our cities, so hit us up on twitter using #Afropopdocs and let us know where you’re at, and maybe your city or town will be a stop on the tour. felt in his cultivation of a space for black producers to work in digital media. This fellowship created by Christian and renamed in his honor, supports innovative and talented young black digital media makers, and provides them with infrastructure, resources, mentoring, and a stipend to support their work and projects.